Home > SQUARE ENIX CO.
Found one file extension association related to Hitman and 1 file format developed specifically for use with Hitman. Welcome to the World of Assassination. You are Agent 47, the world's ultimate assassin. 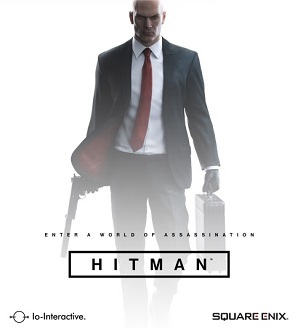 HITMAN is the 6th and latest installment to the Hitman series. It was released on March 11th, 2016 with a retail release coming January 2017. It was released for Windows PC, PlayStation 4, and Xbox One. As Agent 47, you perform contract hits on high-profile targets in exotic locations around the world. Future locations - in April, Sapienza Italy, track down a scientist residing in the sunny coastal town. In May, the hustle and bustle of Marrakesh, Morocco. And as the story expands you will travel to Thailand and the USA before concluding in Japan later in 2016. If you need more information please contact the developers of Hitman (SQUARE ENIX CO.), or check out their product website.